This week's article features a small "offshore" island known as Coney Island. No, we're not talking about the famous entertainment island in New York City, better known for its amusement parks and seaside resorts. And we're not referring to the yummy hot dog by the same name previously, sold by A&W fast food chain . 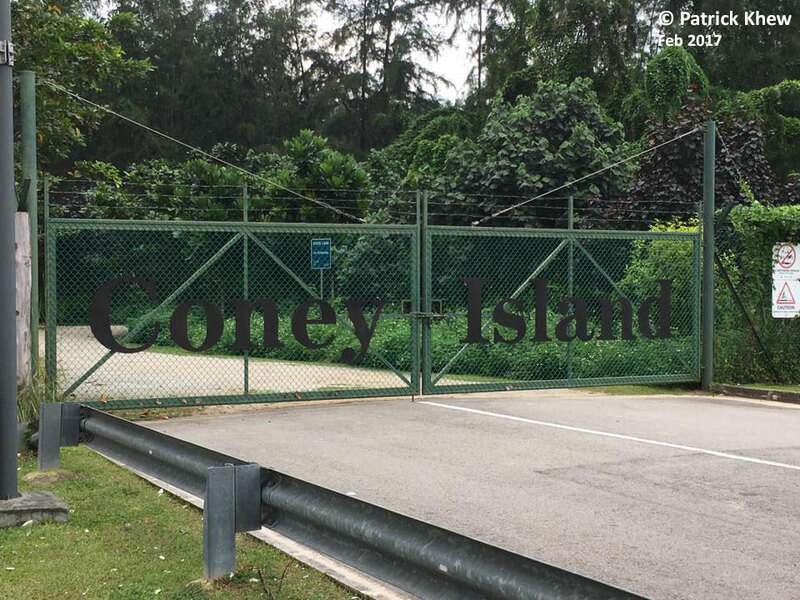 The Coney Island here in Singapore is a tiny 100 Hectare island that has recently (in 2015) been made accessible to the public by the National Parks Board. Coney Island Park, managed by NParks, covers about 50 Ha of the island that is opened to the public. 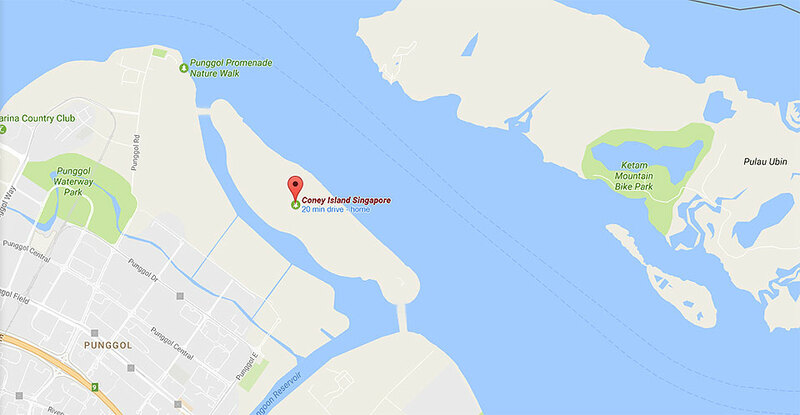 With the completion of two link bridges from Singapore island, Coney Island is now opened to the public from 7am to 7pm daily. The island is intentionally left relatively "wild" and covered with mainly secondary growth and Casuarina trees. So do not expect creature comforts like water coolers or ceiling fans in the shelters. There is a public toilet at the eastern entrance of the island, so if you enter the island from the Punggol Settlement side, you'll be facing a 2.4km walk before you reach a rest room. Also known as Serangoon Island, Coney Island Park was once owned by the Haw Par brothers who built a 600m2 beach villa on the island, now known as the Haw Par Beach Villa. As the delapidated structure is unsafe, the public can only view it on only specially guided walks by NParks. The island changed hands several times before the Singapore government acquired it in the 1970's. 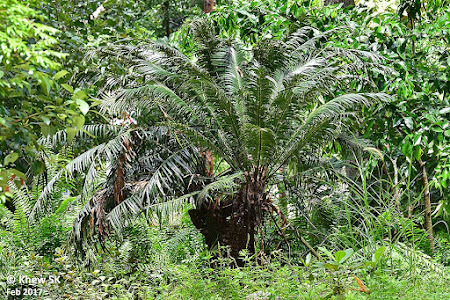 Vegetation on the island was largely left intact after some development works by NParks. Some boardwalks were constructed in certain areas, and the public toilet at the eastern entrance of the island. Habitats on the island include coastal forests, open grasslands, mangroves and casuarina woodlands. The diversity of flora on the island appears to be quite limited at the moment, although it has been reported that some plant species on the island are considered critically endangered. Bird diversity on the island is relatively good, with some 80+ species spotted on the island so far. 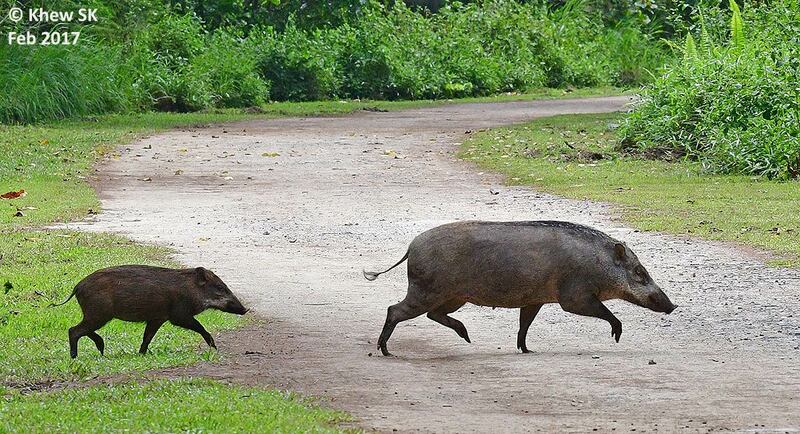 Other than the now-deceased Brahman bull roaming the island, animals like otters and a family of wild boars inhabit the island. There are probably snakes and other rodents that share the island as well. Access to the island is via one of the two bridge links - one at Punggol and the other at the Lor Halus side. 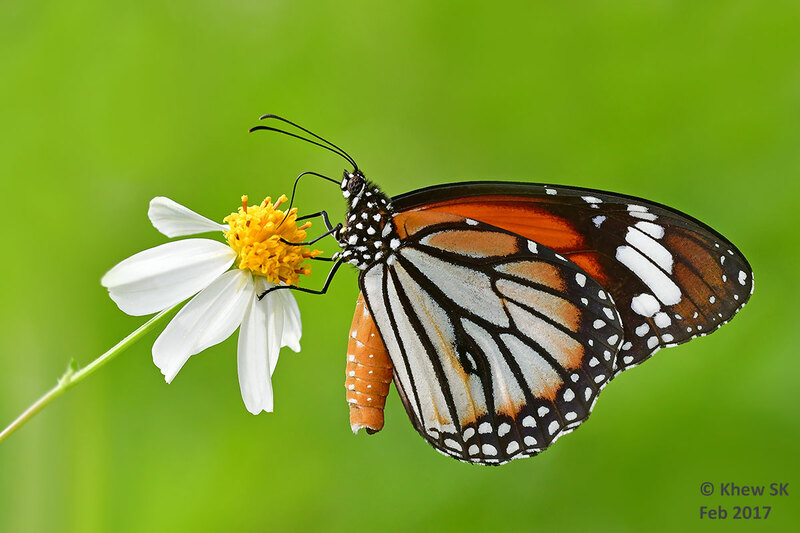 As the island allows cyclists and other personal mobility devices, hikers will have to share the trails with them, so do keep a look out when you are out checking the bushes for butterflies. It is relatively easy to walk on the island - along the main track and the side trails that lead to the seashore areas at five locations. I checked out Coney Island recently, walking the length of the island from the West Entrance to the East Entrance, and some of the side trails leading to the themed beach areas. It drizzled abit right at the start of my walk, but it was hot sunshine for the rest of the morning. Right at the start of the West Entrance was a large area covered with Spanish Needle (Bidens pilosa / alba) bushes. Two Common Tigers (Danaus genutia genutia) were feeding on the flowers as were a couple of Lesser Darts (Potanthus omaha omaha). 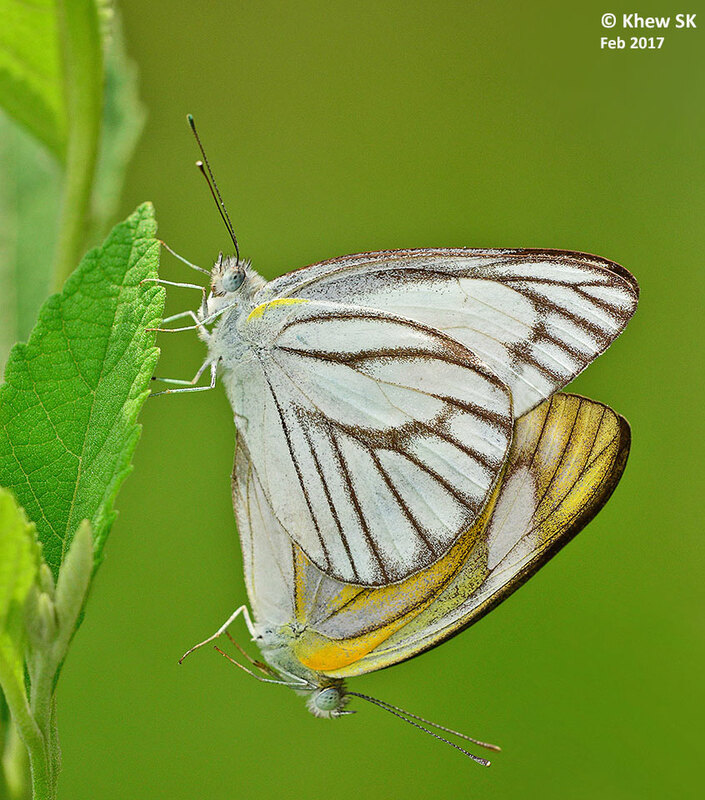 Nearby, a number of Common Caeruleans (Jamides celeno aelianus) were fluttering restlessly around the low shrubbery. Moving into the trails, I found a few Tawny Costers (Acraea terpsicore) perched on the flowers of the Spanish Needle. I saw a few vines of their host plant, Passiflora foetida nearby, climbing up some dead branches. A Jacintha Eggfly (Hypolimnas bolina jacintha) flew past quickly. 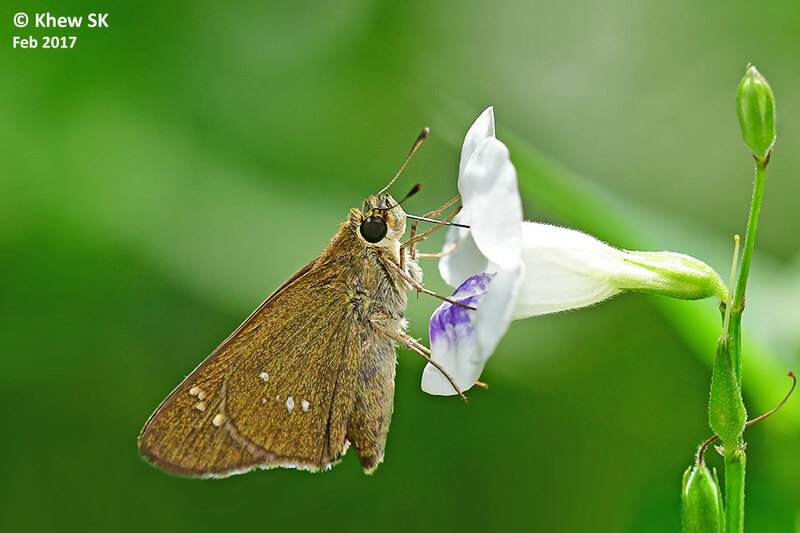 It was a female, and appeared to be looking for a nice leaf of its host plant, Chinese Violet (Asystasia gangetica micrantha) to lay her eggs. 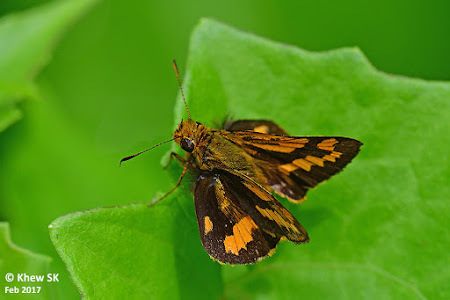 At the open grassy side tables adjacent to the main track running from west to east, there were some skippers sunbathing at the shrubs, zipping around and then opening their wings in the usual half-opened skipper fashion. Also present with a Dark Grass Brown (Orsotriaena medus cinerea) and several Dark Brand Bush Browns (Mycalesis mineus macromalayana). 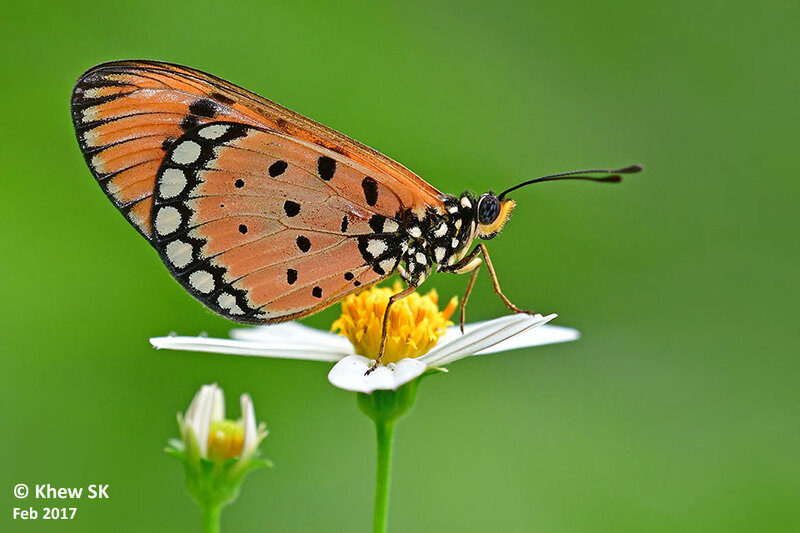 It was not surprising to find these species whose caterpillars feed on various grasses, including the ubiquitous lallang (Imperata cylindrica). 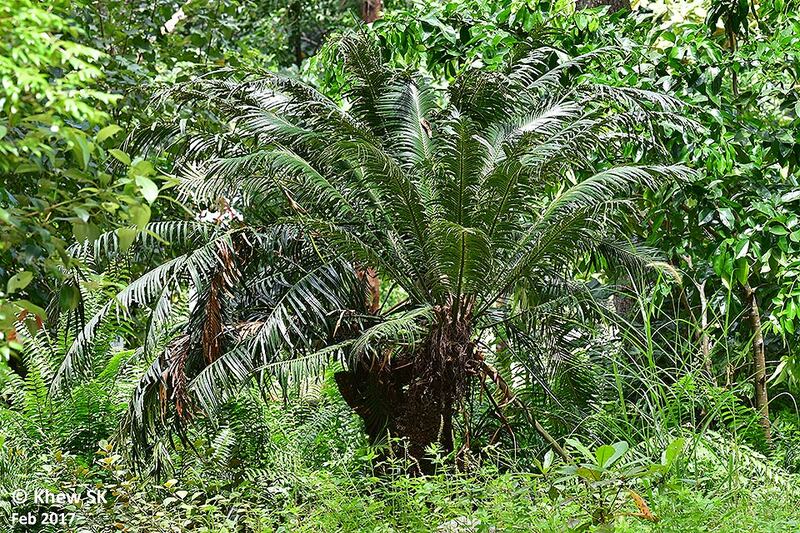 Along the mangrove trail, there was a large Cycad tree and the attendant Cycad Blue (Chilades pandava pandava) were seen fluttering nearby. 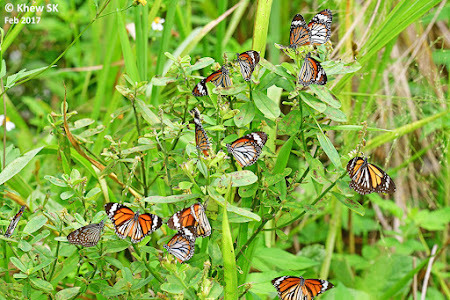 Some Rustics were seen flying near a plant that appears to be a caterpillar host plant alongside the mangrove boardwalk. Back along the main track, a skipper zipped around the flowers of the Chinese Violet, and a closer shot of it confirmed it to be a Formosan Swift (Borbo cinnara). Several other skippers were flying around the grasses in the hot sunshine. Besides the Lesser Darts, I also saw a pair of Chestnut Bobs dogfighting with each other. It was almost past noon when I reached the Eastern Entrance to Coney Island Park. This is where the newly-constructed rest rooms were located and along the paths leading to the beach area were scattered bushes of Spanish Needle. Again, there were many Danainae around, feeding on the flowers. Spotted were the Common Tiger, Blue and Dark Glassy Tiger and a Black Veined Tiger. A solitary shrub of the Rattlebox weed (Crotalaria retusa) attracted a large number of these Danainae. 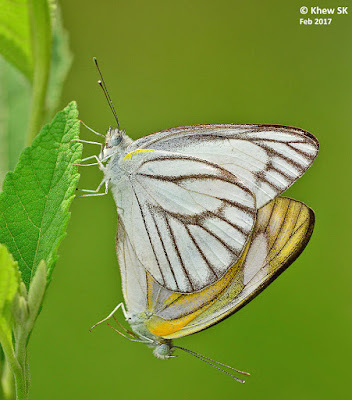 Along the walk back to Punggol Settlement where I had parked my car, I spotted a Striped Albatross (Appias libythea olferna) and a Psyche (Leptosia nina malayana). The Common Grass Yellow (Eurema hecabe contubernalis) were commonly sighted throughout the walk, and a couple of Common Mormons fluttered around the Lantana shrubs along the main track. 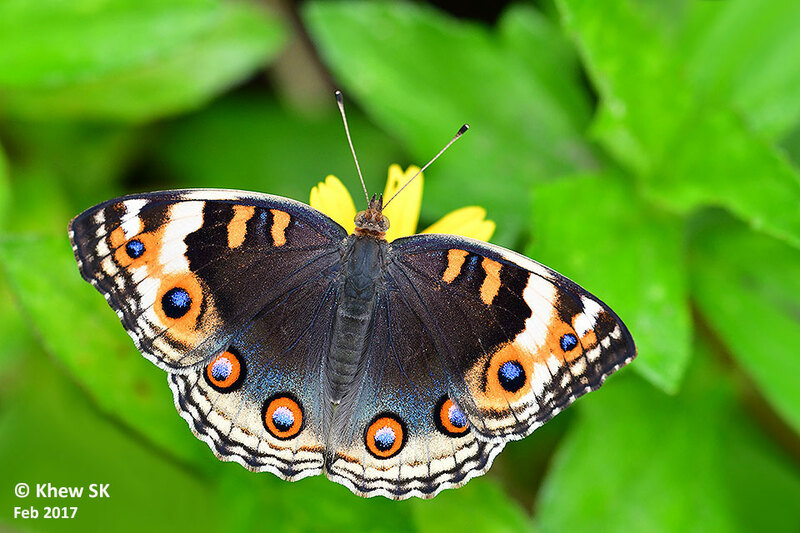 The butterfly diversity on Coney Island Park was not particularly rich, although the common species that inhabit the coastal and open grass habitats were quite expected. The large number of Common Tigers suggest that their caterpillar host plants must be plentiful on Coney Island. The island's proximity to Pulau Ubin may attract more species over if more host and nectaring plants are cultivated on Coney Island in future. From Punggol interchange, take bus 84 to Punggol Point Park/Punggol Settlement. Walk about 500m east along the Punggol Promenade Nature Walk to get to Coney Island West Entrance. For those who drive, there is ample parking available at Punggol Settlement. Those who prefer to enter Coney Island Park via the East Entrance can park along Pasir Ris Coast Industrial Park 6 (at your own risk!) and look for the entrance to the Coney Island Park.